A trough shower drain is a linear type drainage product that is used to funnel the water out of the shower. Even though that sounds quite simple there are many options and styles you can look into with this type of system. Construction is a beautiful thing in that your limitation is only your imagination. There are custom designers, workers, and artists that can create anything you can imagine. So don’t hesitate to get the product you want. Technically the definition for trough is a long narrow container for animals to hold food or water, however, we have adopted this terminology to make it our own. A long narrow container is the body of the drain which an outlet for the water to exit the body. This will also help reduce the smell within the room because the body is sloped to ensure water doesn't sit. With this definition, it does not include or mention anything about covering the container. This is what we would call a grate. The grate is meant for the design aspect, it is a finishing product to make the product look stylish and high class. The long narrow container for animals that we have converted into something for our wet room, the outlet pipe along the container can vary in its positioning. Again, as mentioned above there are no limitations to the construction of a product so this item can be placed and used in any way you see fit. Having this type of customization really allows you to create the look that you want. There are some laws that you must follow when thinking of a design or idea for this type of project which is physics. Yes, I know that is a dirty word but in construction is a law we have to respect and follow. Basically what you need to get out of it is that water flows where gravity takes it, downhill. Just keep that in mind when designing and placement. There are basically two images people see when they hear about this type of drain. They either see it as something you put in the bathroom or something out in the middle of the road. Both are accurate in a sense. Even though it's technically accurate, in construction terms this item would not go into a wet room or even inside a house. In the contractor's mind, it is an outdoor item or it can be placed in the garage. Again, breaking down this word, best line drain products for your shower this type of product is meant for animals but we have adapted to using it for many other things. As this article continues I want to just make sure you are aware of this fact as it is something I’m going to refer to throughout the article of how this type of product can be misused and even miss placed. Also, show it’s similarities and why technicalities can be broken. Many different places you can use a drain like this. Again, I’ll mention that the sky's the limit and imagination is the only thing limiting. Having said that there are some of the common places? Well like this page indicates, the first would be the wet room. As many of us do and unfortunately not all we have a daily ritual that includes this area and with it comes a large amount of water that needs to go somewhere. As design continues to push more and more into the home there is going to be an increase in products that push the limits of design. In this wet room more and more companies are creating this product for the home and a lot in this area. For more on the installation of this type of drain, click here. This is going to be a brief statement of each location and then we will dig into the area directly after we cover each area. The other most common place is in a commercial location such as stores and strip malls. Many of us only notice this area when we drive over it and it makes a loud nice. For instance, every time I drive into my local Dairy Queen there is this huge drainage that cuts through the road. It doesn’t fit very well and it rocks and slams against the metal and 4 inch square drains for your shower is really annoying. Even my 3-year-old notices it by saying “what was that? !” every time we drive over it. This helps with the large flow of water that tends to build up in parking lots or along the roads. Now I’ve mentioned the area’s on the outside of commercial buildings but there is also a need for within commercial buildings, namely restaurants. To ensure a clean kitchen in restaurants it is common practice to have the entire kitchen area waterproof membrane so they can simply hose out or pressure wash the whole kitchen. In my mind, I think it is a great method and I hope most do to keep things clean. So now you know it's common for restaurants to hose down their kitchen they must have a reliable draining source for everything to be removed from the kitchen. I have seen a combination of both center circular drainage as well as trench like styles. In talking with cooks and those who work in the kitchen there is a preferred type style which happens to be the trench. It is easier to maintain, has better drainage, and easy to hide. They would position them underneath their tables and keep them completely out of the way. A few benefits to this include a non-flooded walkway when cleaning, meaning while the water is draining the normal areas to walk along are not flooded with water keeping the area safe as it's being cleaned. Even though technically the definition is a long narrow container there are some that are square or even rectangle in shape. So it contradicts and might even be called a storm drain, however, we all really know what that is. I am not even going to really dig into this matter because it doesn't pertain much to the area or conversation that I don’t think you are very interested in. Most of this and why I am pointing this out is I want to be clear you understand the difference between drainages and where this article is going. On a side note about parking lots, having leveled and graded one there is a lot of effort that goes into the slope of a parking lot. To that point, I want to how to install your drain press the issue of accurate slope and how important it is. 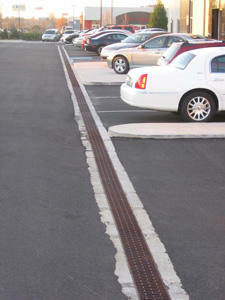 If a parking lot doesn't drain properly you will have huge cost damages occur over time. Not to mention the possibility of cars flooding within the lot and now they are held liable for the damages. That same problem may happen within an area within your house and the effects will likely be the same. Even though you won't have vehicle damages, rotted floors, wood damage, and mold is no easy or simple issue to have in the house. You will have large expenses for those kinds of damages including having to leave your home and room somewhere else while it is getting fixed. I don't know about you but I really don't want to do that so I pay a lot of attention to the proper slope. There are things you can do to make that easier, products. There are a few products out there on the market that help with proper sloping and I suggest doing some research to see what might suit you. For more information on that check out this article on pre-sloped floors here. This is the part that I want to dig in. I think it is the same for you and I hope that I can provide enough info that is relevant for you. For the continuation of this article, I want you to take notes and send any questions that you might have to me. I want to help open up this discussion and allow everyone to fully understand and grasp the overall concept. Within the home, there are even a few places to use this installing a shower drain how to to the best of its use. The showering area, washroom / wet room, and a kitchen is the most common places for this type of drainage and where they make sense. Let's break this down into their respective area and digest this in easier bit side pieces. favorite design feature of this style, seamless, elegant, and clean. Just to be clear, a wet room is a full room that has all necessities, meaning wet area, bathroom vanities, toilets, and even bathtubs. Some also call the laundry room a wet room as well so just make sure you are clear about the room you are talking about. With all thing that goes along with a wet room, it is imperative that you have a floor plan that is to scale to ensure everything fits. One common problem that most contractors run into is simply that everything you want in the bathroom doesn’t fit. At most, you should only drains with tiled showers have a shower, bathtub, water closet/toilet and the rest are open for vanity and storage space. In my home, most of the bathroom / wet room is made of large amounts of storage space. Being married I understand the importance of having tons of space for everything required in the wet room, especially if you don’t have a separate powder room. The most common style is to have the drainage within the wet area. It is sleek, low profile, and looks great! 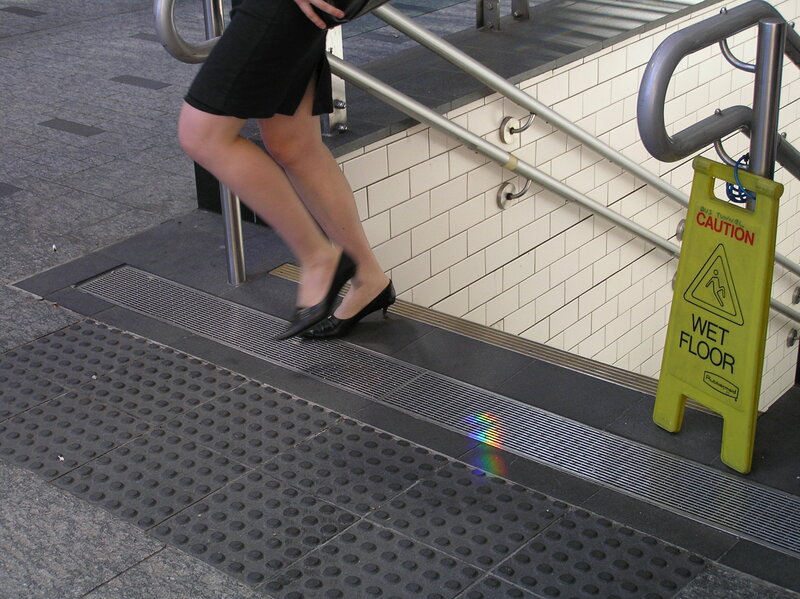 This is also a great method to handicap accessibility and over a barrier-free curbless layout. For more info on using this style in the shower please see the article here where we dive deep into this area. This design also removes the need for a dam / curb. A great design feature is the ability to totally hide the drainage under a shower seat. For more on that click here. This area might not be interesting to all parties, however, it certainly has its place in the list. If you are a mechanic or just super organized in the garage this is a great style to use here. First, let's talk about the positioning. You really have only three options here in my opinion. At the end of the garage towards the driveway, up against the house, or lastly in the middle. You will see more mechanics shops and car places that have them in the center for each vehicle slot but you’ll see it at the end as well. One side note about drainage position is that how your house sits and the drainage is a huge factor on where to place the drains as well as the amount of work that will have to take place to get the desired effect. My favorite is for each car space to have it’s own center drainage, right underneath the vehicle. I think you can create really nice lines and it’s very practical for multiple things. It will give you more room when working on the underside of the vehicle, you won’t have to take the vehicle in the driveway to wash it, and you’ll be able to fully spray down the garage and allow the water to flow without worry. 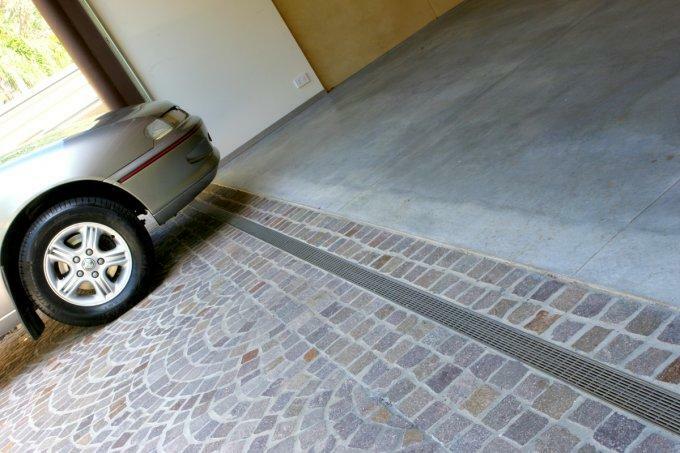 Having the trench just outside the garage is also a great option as it will allow you to slope the whole garage one direction for easy cleaning and water flow. In some cases this might not make the most sense for instance if you live on a hill gravity will take the water down and out of the garage and no product is needed, however, if you live in the reverse this might be more practical regardless of the effort required to get this result. To wrap this all up I want a few things to stick. One, become a pro at slope. Two, understand positioning. Lastly, research everything to ensure you get the best deal for the amount of effort you'll need to get the job done.